Fluoroscopy – a device that passes continuous X-rays through the body to yield a real-time moving image. The benefits of imaging tests must be weighed against the risks. Imaging such as those listed above could reduce the need for exploratory surgery or they could improve the treatment plan or even save your life. They play a crucial role in our current medical toolbox. We are exposed to small doses of radiation from natural sources every day. 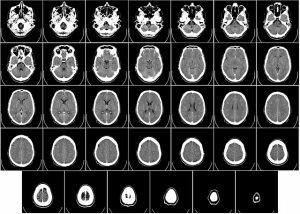 Thus, it is unlikely that one imaging test will directly cause ill effects, but it is the long-term cumulative effects of many exposures over a lifetime that can cause the damage. So, it is prudent to be mindful of our exposures and to lessen the frequency when possible. The radiation you get from x-ray, CT, and nuclear imaging is ionizing radiation which can damage DNA. Keep in mind our cells repair most of the damage but maybe not so well sometimes resulting in DNA mutations that may contribute to cancer down the road. Don’t miss this: Click over here to see what the EPA says about radiation and its possible effects on our health. I suggest following this 3 step plan to best prepare for any imaging tests that may carry radiation exposure and thier risks for you or your family. Determine with your health care provider if the test results could improve your care. If the test’s outcome won’t change the diagnosis or treatment, perhaps it is not worth the radiation and you should opt out. Research other equally good alternatives. For example, some diagnostic scans. such as MRI or ultrasound, don’t emit radiation. Let your health practitioner know if you’ve received any imaging at another place or time. Your doctor may be able to reexamine the results and spare you the hassle of retesting and the rads. Don’t miss this: How to counteract radiation risks after imaging tests – Part 2 of Health Risks of Imaging Tests and Best Way To Protect Yourself From Radiation. Ask for digital x-rays as it uses less radiation than film. 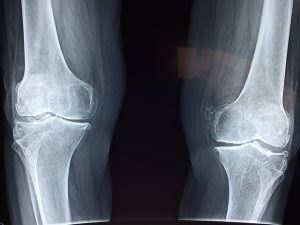 The radiologist can also zoom in on areas of the digital x-ray as to get a better look, which lessens the need for additional shots and more radiation. If a new type of testing is suggested, ask lots of questions about risks and do your own research. Some of the new imaging, like 3D mammography, carries more radiation than other mammography choices, but the test results offer a more thorough image. Always ask for a thyroid guard and lead apron during dental X-rays. Some research suggests that repeated exposure may be linked to thyroid cancer if patients aren’t properly protected. If you need a CT scan and you weigh less than 180 pounds, your doctor may be able to decrease the radiation dose. Ask them to do so. Don’t miss this: foods and supplements that can help counteract radiation exposure. If you are going ahead with the test, make it count! Get the best. Always get your imaging at the best managed, most up-to-date, and reputable centers in your area. Lack of standardization is a problem with imaging testing. Some studies have shown dramatic differences in the doses of radiation given for the same test at various centers. Radiation exposure and equipment performance are crucial. How often are the machines checked by a qualified medical physicist? At a minimum, an annual equipment examination by a qualified medical physicist should be performed. Do they have newer machines that carry less radiation? Don’t miss this: Check out this link from a radiologist on what particular questions to ask for breast imaging centers. After all, the more accurate the results, the greater the chance of a successful treatment.